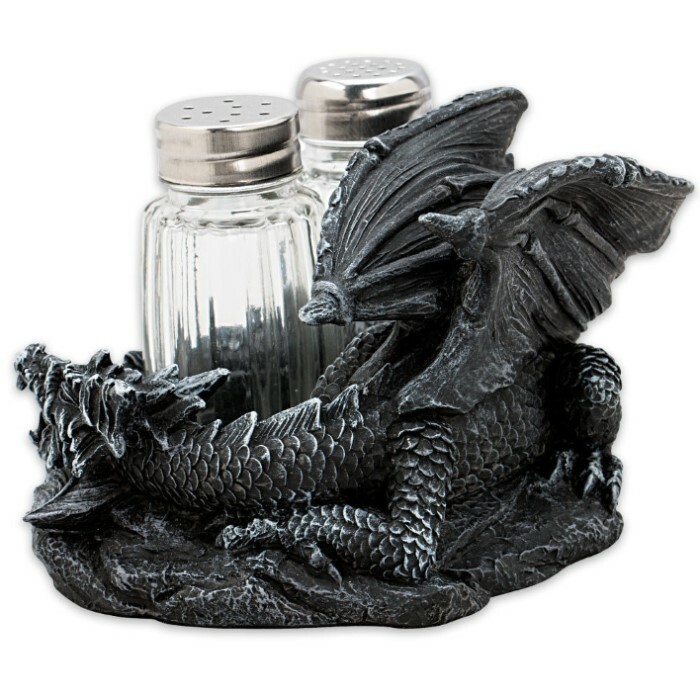 A great addition to your castle, the Fantasy Dragon Salt And Pepper Shakers will impress you and your guests with its artistry. 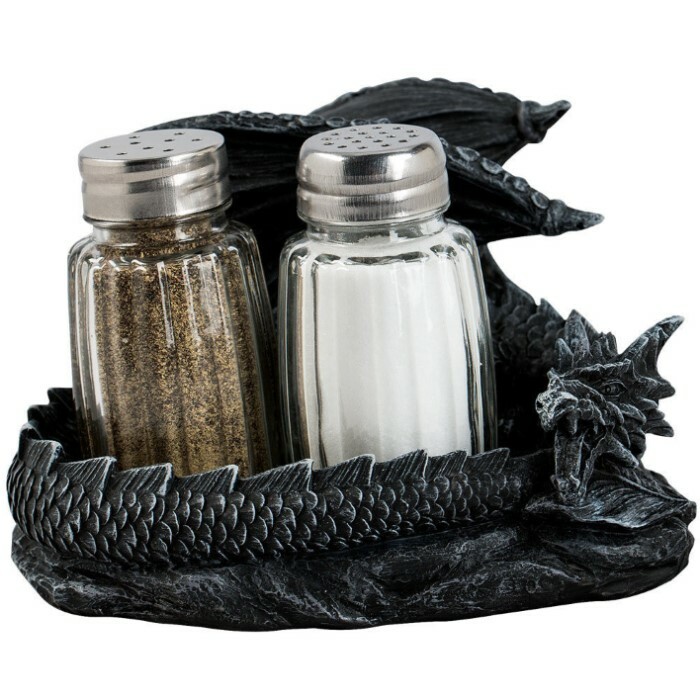 A masterpiece in durable polyresin, it is an intricately crafted dragon cradling the two glass shakers. This is definitely a collectible piece you have to have! I'm a fantasy lover for games, shows, and movies! I bought these for myself as a gift from Santa. They are actually designed very nice an I don't even use them. Their just displayed with the rest of my stuff but can't wait for October to bring them out an be even more displayed. They are well made and sturdy. Won't be disspaointed!